There is consistent epidemiological and clinical evidence showing low high-density lipoprotein cholesterol (HDL-C) to be a strong independent risk factor for coronary heart disease (CHD) [1Sacks FM. Expert Group on HDL cholesterol. The role of high-density lipoprotein (HDL) cholesterol in the prevention and treatment of coronary heart disease: expert group recommendations Am J Cardiol 2002; 15: 139-43.]. There is also evidence that CHD progression can be attenuated by increasing HDL-C levels [2Ballantyne CM, Herd JA, Ferlic LL, et al. Influence of low HDL on progression of coronary artery disease and response to fluvastatin therapy Circulation 1999; 99: 736-43.,3Rubins HB, Robins SJ, Collins D, et al. Gemfibrozil for the secondary prevention of coronary heart disease in men with low levels of high density lipoprotein cholesterol N Engl J Med 1999; 341: 410-8.]. In addition, low levels of HDL-C may account for a significant percentage of residual cardiovascular risk in patients with CHD [4Baigent C, Keech A, Kearney PM, et al. Efficacy and safety of cholesterol lowering treatment: prospective meta-analysis of data from 90,056 participants in 14 randomised trials of statins Lancet 2005; 366: 1267-78.-6Hausenloy DJ, Yellon DM. Targeting residual cardiovascular risk: raising high-density lipoprotein cholesterol levels Heart 2008; 94: 706-14.]. Low HDL-C levels in patients with CHD is frequently associated with metabolic syndrome [7Al-Rasadi K, Sulaiman K, Panduranga P, Al-Zakwani I. Prevalence, characteristics, and in-hospital outcomes of metabolic syndrome among acute coronary syndrome patients from Oman Angiology 2011. in press]. Furthermore, the fact that there is no exact definition of optimal plasma HDL-C levels, a threshold of <1.05 mmol/L is likely to be undesirable in patients with CHD or CHD equivalents [8Third Report of the National Cholesterol Education Program (NCEP). Expert panel on detection, evaluation and treatment of high blood cholesterol in adults (adult treatment panel III), Final report Circulation 2002; 106: 3143-421.]. To our knowledge, there is scant literature on the subject from the Gulf, with only 1 published study by our group on the prevalence of low HDL-C in Oman [9Al-Zakwani I, Sulaiman K, Al-Rasadi K. Prevalence of low high-density lipoprotein cholesterol (HDL-C) as a marker of residual cardiovascular risk among acute coronary syndrome patients from Oman Curr Med Res Opin 2011; 27: 879-5.]. The Gulf Registry of Acute Coronary Events (Gulf RACE) is a prospective, multi-country, multi-centre registry of consecutive patients hospitalized with the final diagnosis of acute coronary syndrome (ACS) in 6 Arabian Gulf countries over a period of 6 months in 2006 and 2007 [10Zubaid M, Rashed WA, Al-Khaja N, et al. Clinical presentation and outcomes of acute coronary syndromes in the Gulf Registry of Acute Coronary Events (Gulf RACE) Saudi Med J 2008; 29: 251-5.]. This registry provided a unique opportunity to study the prevalence, predictors, and impact of low HDL-C on in-hospital outcomes among ACS patients in the region. Gulf RACE design and methods have been previously reported [10Zubaid M, Rashed WA, Al-Khaja N, et al. Clinical presentation and outcomes of acute coronary syndromes in the Gulf Registry of Acute Coronary Events (Gulf RACE) Saudi Med J 2008; 29: 251-5.]. In summary, Gulf RACE was a prospective, multi-national, multi-centre registry of consecutive patients above 18 years of age hospitalized with the final diagnosis of ACS from 65 hospitals in 6 Middle Eastern countries, namely: Oman, United Arab Emirates (UAE), Qatar, Bahrain, Kuwait and Yemen. A pilot phase was conducted from May 8, 2006 to June 6, 2006. Enrolment in the next phase of the registry started in January 29, 2007 and continued for 5 months till June 29, 2007. In Oman, UAE and Yemen, most hospitals (covering at least 85% of the population) participated in the survey. There were no exclusion criteria. The diagnosis of the different types of ACS and definitions of data variables were based on the ACC clinical data standards [11Cannon CP, Battler A, Brindis RG, et al. American College of Cardiology key data elements and definitions for measuring the clinical management and outcomes of patients with acute coronary syndromes. A report of the American College of Cardiology Task Force on Clinical Data Standards (Acute Coronary Syndromes Writing Committee) J Am Coll Cardiol 2001; 38: 2114-30.]. Demographic and other baseline clinical and biochemical characteristics of the patients along with statin and other dyslipidemic therapy use were evaluated. Other dyslipidemic therapy included cholestyramine, colestipol, bezafibrate, fenofibrate, and gemfibrozil. Pre-admission medications, other than the use of aspirin, were not available. Current smoking was defined as smoking cigarettes or water-pipe (sheesha) within 1 month of index admission. A positive family history for CHD was defined as evidence of this disease in a parent, sibling, or children before 55 years of age. Low HDL–C [12Grundy SM, Cleeman JI, Daniels SR, et al. American Heart Association; National Heart, Lung, and Blood Institute. Diagnosis and management of the metabolic syndrome: an American Heart Association/National Heart, Lung, and Blood Institute Scientific Statement Circulation 2005; 112: 2735-52.,13Alberti KG, Eckel RH, Scott M, et al. Harmonizing the Metabolic Syndrome A Joint Interim Statement of the International Diabetes Federation Task Force on Epidemiology and Prevention; National Heart, Lung, and Blood Institute; American Heart Association; World Heart Federation; International Atherosclerosis Society; and International Association for the Study of Obesity Circulation 2009; 120: 1640-5.] was defined as levels of <40 mg/dL (1.0 mmol/L) for men and <50 mg/dL (1.3 mmol/L) for women. Renal impairment was defined as serum creatinine clearance >2 mg/dL (177 µmol/L). Institutional review board approval was obtained. For categorical variables, frequencies and percentages were reported. Differences between groups (low HDL-C status, no/yes) were analyzed using Pearson’s χ2 tests (or Fisher’s exact tests for cells <5). For age, mean and standard deviation were used to summarize the data while analysis was performed using Student’s t-test. For the variables, body mass index (BMI), waist circumference, total cholesterol, LDL-C, and triglycerides, which were abnormally distributed, median and interquartile ranges (IQRs) were used to describe the data and analysis was conducted using the non-parametric Mann-Whitney test. The association between low HDL-C levels and various predictors was evaluated by multivariate logistic regression model utilizing stepwise-backwise elimination method on the variables on (Table 1). Furthermore, the impact of low HDL-C on various in-hospital outcomes (mortality, cardiogenic shock, re-infarction, re-ischemia, congestive heart failure) was also explored using multivariable logistic regression. Among the predictor variables used in the different models included country, age, gender, prior aspirin use, smoking status, and total cholesterol. The goodness-of-fit of the logistic models was examined using the Hosmer and Lemeshow goodness-of-fit statistic. Based on the χ2 distribution, a Hosmer and Lemeshow statistic with a p > 0.05 is considered a good fit. A 2-tailed level of significance was set at 0.05. Statistical analyses were conducted using STATA version 11.1 (STATA Corporation, College Station, TX). A total of 8,176 ACS patients were recruited from 63 hospitals in the 6 Middle Eastern Gulf countries. The HDL-C levels were not available for 1,910 patients (23%). The remaining 6,266 patients (77%) represent the sample size for this study. The overall prevalence of low HDL-C was 62% (n=3,854), ranging from 76% in Kuwait to 43% in Yemen. The prevalence of low HDL-C in Oman, UAE, Qatar, and Bahrain was 53, 64, 66 and 59%, respectively. As shown in (Table 1), the mean age of the cohort was 56 ± 12 years. The cohort was mostly male (77%), was associated with higher median BMI (27 [24Jafri H, Alsheikh-Ali AA, Karas RH. Meta-analysis: statin therapy does not alter the association between low levels of high-density lipoprotein cholesterol and increased cardiovascular risk Ann Intern Med 2010; 153: 800-.-30Correia LC, Rocha MS, Esteves JP. HDL-cholesterol level provides additional prognosis in acute coronary syndromes Int J Cardiol 2009; 136: 307-14.] kg/m2) and waist circumference (95 [86-102] cm), had a significant proportion of patients with hypertension (48%), diabetes (40%), smokers (39%) as well as prior aspirin users (39%). Most of the patients had non-ST-elevation acute coronary syndrome (NSTE-ACS) (59%). The cohort was also associated with higher median total cholesterol (4.7 [3.7-5.7] mmol/L) and LDL-C (3.1[2.4-4.0] mmol/L). Furthermore, during in-hospital stay and at discharge, majority of the patients received statin therapy (83%) but only 10% (n=647) received other dyslipidemic therapy. A total of 8% of the patients (n=308/3,854) that had low HDL-C were neither on statin nor other dyslipidemic therapy. The low HDL-C group, compared with the satisfactory HDL-C cohort, had higher rates of females (29 vs 14%; p<0.001), higher median BMI (27 vs 26 kg/m2; p<0.001), greater waist circumference (95 vs 93 cm; p<0.001), diabetes (44 vs 33%; p<0.001), hypertension (51 vs 43%; p<0.001), prior MI (25 vs 20%; p<0.001), prior percutaneous coronary intervention (PCI) (12 vs 9%; p<0.001), renal impairment (5.6 vs 4.0%; p=0.005) and NSTE-ACS (59 vs 41%; p<0.001). The low HDL-C group was also associated with lower median total cholesterol (4.5 vs 5.0 mmol/L; p<0.001), LDL-C (3.1 vs 3.3 mmol/L; p<0.001) as well as higher median triglyceride levels (1.6 vs 1.5 mmol/L; p=0.049). Adjusting for other factors in the model, the stepwise logistic regression (Table 2) demonstrated that ACS patients in UAE, Qatar, Bahrain and Kuwait were more likely while those in Yemen were less likely to have low HDL-C when compared with those patients from Oman. The model also demonstrated that patients with higher BMI, prior MI, diabetes mellitus, smokers, and renal impairment were more likely to have low HDL-C. However, those that were old, male, and had higher LDL-C and triglyceride levels were less likely to be associated with low HDL-C. The impact of low HDL-C on in-hospital outcomes revealed that low HDL-C was associated with higher all-cause mortality (odds ratio (OR), 1.54; 95% CI: 1.06-2.24; p=0.022) and cardiogenic shock (OR, 1.61; 95% CI: 1.20-2.14; p=0.001), compared with the satisfactory HDL-C group. The impact of low HDL-C on other in-hospital outcomes (re-infarction, re-ischemia, congestive heart failure) was not significant (Table 3). Of interest, after gender stratification, the impact of low HDL-C on in-hospital mortality and cardiogenic shock was demonstrated in males and not in females. This study, in 6 Gulf Middle Eastern countries, demonstrated that a high prevalence of low HDL-C existed in patients presenting with ACS in the region. Patients with higher BMI, MI, diabetes mellitus, smoking, and renal impairment were more likely to have low HDL-C. However, those that were old, male, and had higher LDL-C and triglyceride levels were less likely to have low HDL-C. In addition, low HDL-C was associated with higher in-hospital mortality and cardiogenic shock. Furthermore, the study revealed that during in-hospital stay and at discharge, the majority of the patients received statin therapy while very few patients were taking other lipid lowering drugs. In our study, the prevalence (62%) of low HDL-C in ACS patients was the highest among other reported studies on ACS which ranged from 28 to 57% (Table 4). One possible explanation could be attributed to the high prevalence of metabolic syndrome in the general population in the Gulf states, which is 10-15% higher than in most developed countries [14Mabry RM, Reeves MM, Eakin EG, et al. Gender differences in the prevalence of the metabolic syndrome in Gulf Cooperation Council Countries: systematic review Diabet Med 2010; 27: 593-7.]. In addition, a high prevalence of metabolic syndrome [7Al-Rasadi K, Sulaiman K, Panduranga P, Al-Zakwani I. Prevalence, characteristics, and in-hospital outcomes of metabolic syndrome among acute coronary syndrome patients from Oman Angiology 2011. in press] and obesity [15Hadi HAR, Zubaid M, Al Mahmeed W. The prevalence and outcome of excess body weight among middle eastern patients presenting with acute coronary syndrome Angiology 2010; 61: 456-64.] in ACS in this region has also been reported. Low HDL-C is a component of metabolic syndrome and seen more commonly with obesity and diabetes [16Malik S, Wong ND, Franklin SS, et al. Impact of the metabolic syndrome on mortality from coronary heart disease, cardiovascular disease, and all causes in United States adults Circulation 2004; 110: 1245-50.,17Lakka HM, Laaksonen DE, Lakka TA, et al. The metabolic syndrome and total and cardiovascular mortality in middle-aged men JAMA 2002; 288: 2709-16.]. In our analysis, patients with higher BMI, and diabetes mellitus, were more likely to have low HDL-C even after adjusting for other factors. Diabetic patients who have low HDL-C levels have cardiovascular event rates greater than those of diabetic patients with normal HDL-C levels [18Davidson MH. Reducing residual risk for patients on statin therapy: the potential role of combination therapy Am J Cardiol 2005; 96: 3K-13K.,19Shepherd J, Barter P, Carmena R, et al. for the Treating to New Targets Investigators: Effect of lowering LDL cholesterol substantially below currently recommended levels in patients with coronary heart disease and diabetes: the Treating to New Targets (TNT) study Diabetes Care 2006; 29: 1220-6.]. There is high prevalence of obesity among the Gulf countries. A previous published report from Gulf RACE revealed that an overall 67% of patients with ACS were overweight or obese and were more likely to be female and have diabetes mellitus. [15Hadi HAR, Zubaid M, Al Mahmeed W. The prevalence and outcome of excess body weight among middle eastern patients presenting with acute coronary syndrome Angiology 2010; 61: 456-64.] Kato and colleagues [20Kato M, Dote K, Naganuma T. clinical predictors of culprit plaque rupture assessed on intravascular ultrasound in acute coronary syndrome Circ J 2010; 74: 1936-42. ], showed that among the components of metabolic syndrome, abdominal obesity and low HDL-C levels were more frequently observed in patients with multiple, complex coronary lesions. Therefore, abdominal obesity and low HDL-C are likely to be key factors for coronary plaque vulnerability and may be associated with the poor clinical outcomes of ACS patients. Low HDL-C appears to be potentially a modifiable risk factor for patients with ACS. Optimization of lifestyle modifications by moderate weight loss (by 5-10%) combined with exercise significantly decrease triglycerides and increase HDL-C levels, consequently improving cardiovascular risk [21Van Gaal LF, Wauters MA, De Leeuw IH. The beneficial effects of modest weight loss on cardiovascular risk factors Int J Obes Relat Metab Disord 1997; 21: S5-9.]. Low HDL-C has been shown to be associated with a higher risk of cardiovascular events and a greater burden of atherosclerosis, even among patients with controlled LDL-C, including those who are treated with a high dose statins [22Barter P, Gotto AM, LaRosa JC, et al. Treating to New Targets Investigators. HDL cholesterol, very low levels of LDL cholesterol and cardiovascular events N Engl J Med 2007; 357: 1301-0.,23deGoma EM, Leeper NJ, Heidenreich PA. Clinical significance of high-density lipoprotein cholesterol in patients with low-density lipoprotein cholesterol J Am Coll Cardiol 2008; 51: 49-55.]. In this context, a meta-analysis by Jafri et al., showed that low levels of HDL-C remain significantly and independently associated with increased cardiovascular risk despite statin treatment [24Jafri H, Alsheikh-Ali AA, Karas RH. Meta-analysis: statin therapy does not alter the association between low levels of high-density lipoprotein cholesterol and increased cardiovascular risk Ann Intern Med 2010; 153: 800-.]. Several other studies [9Al-Zakwani I, Sulaiman K, Al-Rasadi K. Prevalence of low high-density lipoprotein cholesterol (HDL-C) as a marker of residual cardiovascular risk among acute coronary syndrome patients from Oman Curr Med Res Opin 2011; 27: 879-5.,25Sachdeva A, Cannon CP, Deedwania PC, et al. Lipid levels in patients hospitalized with coronary artery disease: an analysis of 136,905 hospitalizations in Get with the Guidelines Am Heart J 2009; 157: 111-7.-31Olsson AG, Schwarts GG, Szarek M, et al. High-density lipoprotein, but not low-density lipoprotein cholesterol levels influence short-term prognosis after acute coronary syndrome: results from the MIRACL trial Eur Heart J 2005; 26: 890-6.] including, our study (Table 3) have reported an association between low HDL-C and higher in-hospital or short-term mortality and adverse cardiac events. In the Can Rapid Stratification of Unstable Angina Patients Suppress Adverse Outcomes with Early Implementation of the American College of Cardiology (ACC)/American Heart Association (AHA) Guideline (CRUSADE) trial [26Roe MT, Ou FS, Alexander KP, et al. Patterns and prognostic implications of low high-density lipoprotein levels in patients with non-ST-segment elevation acute coronary syndromes Eur Heart J 2008; 29: 2480-8. ], around 53% of patients admitted with NSTE-ACS had low HDL-C (<1.0 mmol/L). In this study low HDL-C was independently associated with an increased likelihood of severe coronary disease and in-hospital mortality. Moreover, a study by Correia et al., [30Correia LC, Rocha MS, Esteves JP. HDL-cholesterol level provides additional prognosis in acute coronary syndromes Int J Cardiol 2009; 136: 307-14.] demonstrated that low levels of HDL-C at admission in individuals with non-ST-elevation ACS predicted recurrent in-hospital events during hospitalization and LDL-C and triglycerides were not associated with cardiovascular events. Similarly, analysis from the Myocardial Ischemia Reduction with Aggressive Cholesterol Lowering (MIRACL) trial [31Olsson AG, Schwarts GG, Szarek M, et al. High-density lipoprotein, but not low-density lipoprotein cholesterol levels influence short-term prognosis after acute coronary syndrome: results from the MIRACL trial Eur Heart J 2005; 26: 890-6. ], showed that despite aggressive lipid lowering with 80 mg of atorvastatin, HDL-C, but not LDL-C influenced short-term prognosis in patients after ACS. Furthermore, in the Japan Assessment of Pitavastatin and Atorvastatin in Acute Coronary Syndrome (JAPAN-ACS) [29Arai H, Hiro T, Kimura T, et al. More intensive lipid lowering is associated with regression of coronary atheros-clerosis in diabetic patients with acute coronary syndrome J Atheroscler Thromb 2010; 17: 1096-7. ], patients with low HDL-C had a significantly higher incidence of target lesion revascularization. The actual rate of cardiogenic shock in patients with low HDL-C is poorly defined. In the current study, low HDL-C was an independent predictor of cardiogenic shock among ACS patients. Furthermore, Zeller et al., [32Zeller M, Steg PG, Ravisy J, et al. for the Observatoire des Infarctus de CtedOr Survey Working Group: Prevalence and impact of metabolic syndrome on hospital outcomes in acute myocardial infarction Arch Intern Med 2005; 165: 1192-8.] showed that hyperglycemia and low HDL-C levels had the strongest association with severe heart failure and only hyperglycemia was an independent determinant of cardiogenic shock. Since this study is the only published to date, further studies are needed to corroborate this new possible association between low HDL-C and cardiogenic shock. This study, compared to our previous published study on prevalence of low HDL-C from Oman [9Al-Zakwani I, Sulaiman K, Al-Rasadi K. Prevalence of low high-density lipoprotein cholesterol (HDL-C) as a marker of residual cardiovascular risk among acute coronary syndrome patients from Oman Curr Med Res Opin 2011; 27: 879-5. ], has looked more into the impact of low HDL-C on in-hospital outcomes after gender stratification because the population is greater (n = 6,266 vs 1,458) and consequently more powered to detect differences on the impact of low HDL-C on in-hospital outcomes than the Oman [9Al-Zakwani I, Sulaiman K, Al-Rasadi K. Prevalence of low high-density lipoprotein cholesterol (HDL-C) as a marker of residual cardiovascular risk among acute coronary syndrome patients from Oman Curr Med Res Opin 2011; 27: 879-5.] study. In the current study (n = 6,266), women had a higher prevalence of low HDL-C compared with men (76 vs 57%; p<0.001) despite of no significant differences of in-hospital dyslipidemic therapy other statins, such as fibric acid, nicotinic acid, etc (1.2 vs 0.9%; p=0.473). This is likely related to the high prevalence of obesity and metabolic syndrome among women in the Gulf countries [7Al-Rasadi K, Sulaiman K, Panduranga P, Al-Zakwani I. Prevalence, characteristics, and in-hospital outcomes of metabolic syndrome among acute coronary syndrome patients from Oman Angiology 2011. in press,15Hadi HAR, Zubaid M, Al Mahmeed W. The prevalence and outcome of excess body weight among middle eastern patients presenting with acute coronary syndrome Angiology 2010; 61: 456-64.]. Similarly a published Gulf RACE study on gender differences showed that women had higher rates of other cardiovascular risk factors such as diabetes and hypertension [33El-Menyar A, Zubaid M, Rashed W, et al. Comparison of men and women with acute coronary syndrome in six middle eastern countries Am J Cardiol 2009; 104: 1018-22.]. Moreover in their study, women had higher adjusted in-hospital mortality compared with men. However, in our study, low HDL-C did not correlate with either mortality or cardiogenic shock in women and it is only in men that low HDL-C was significantly related to both mortality and cardiogenic shock. The clinical benefit of aggressive lowering of LDL-C among patients with ACS has been strongly demonstrated and has been translated into clinical practice [34Cannon CP, Braunwald E, McCabe CH, et al. Intensive vs. moderate lipid lowering with statins after acute coronary syndromes N Engl J Med 2004; 350: 1495-504.,35de Lemos JA, Blazing MA, Wiviott SD, et al. Early intensive versus a delayed conservative simvastatin strategy in patients with acute coronary syndromes: phase Z of the A to Z trial JAMA 2004; 292: 1307-6.]. Although, the current Adult Treatment Panel III (ATP III) guidelines recommend treatment of low HDL-C [36SoRelle R. ATP III calls for more intensive low-density lipoprotein lowering in target groups Circulation 2002; 106: e9068. ], increasing HDL-C levels among patients with ACS have apparently been poorly translated into clinical practice. This is further demonstrated in our study, which showed that only 473 out of 3,854 patients (12%) with low HDL-C levels were discharged on a combination therapy to increase HDL-C levels. Likely reasons for the observed under treatment in patients with low HDL-C include underestimation of therapy benefit, lack of prospective clinical trial data, and under-recognition of patients’ poor prognosis. Strategies to aggressive management of HDLC are fundamental for reducing cardiovascular outcomes in patients with ACS. Nissen et al., [37Nissen SE, Tsunoda T, Tuzcu EM, et al. Effect of recombinant apoA-I Milano on coronary atherosclerosis in patients with acute coronary syndromes. A randomized controlled trial JAMA 2003; 290: 2292-300. ], reported a significant decrease in atheroma in patients with ACS who were treated with infusions containing apolipoprotein A-I Milano compared with placebo. The HDL-C Atherosclerosis Treatment Study (HATS) [38Brown BG, Zhao X-Q, Chait A, et al. Simvastatin and niacin, anti-oxidant vitamins, or the combination for the prevention of coronary disease N Engl J Med 2001; 345: 1583-92.] showed that combining nicotinic acid with a statin improved HDL-C and LDL-C, inhibited the progression of atherosclerosis, and reduced cardiovascular event rates in a high-risk population with established CHD. Recently, Taylor and colleagues [39Taylor AJ, Villines TC, Stanek EJ. Extended-release niacin or ezetimibe and carotid intimamedia thickness N Engl J Med 2009; 361: 2113-2.] have shown that the use of extended-release niacin causes significant regression of carotid intima media thickness when combined with statins. One difficulty with HDL-C elevating therapy at present, is that there is no exact definition of the optimal plasma HDL-C level, although there is a consensus that <1.05 mmol/L is undesirable in patients with CHD or CHD equivalents [8Third Report of the National Cholesterol Education Program (NCEP). Expert panel on detection, evaluation and treatment of high blood cholesterol in adults (adult treatment panel III), Final report Circulation 2002; 106: 3143-421.]. Furthermore, the recent 2009 Canadian guidelines for the diagnosis and treatment of dyslipidemia do not specify treatment targets for HDL-C in high risk patients [40Genest J, McPherson R, Frohlich J, et al. Canadian Cardiovascular Society/Canadian guidelines for the diagnosis and treatment of dyslipidemia and prevention of cardiovascular disease in the adult - 2009 Can J Cardiol 2009; 25: 567-79.]. However, published studies to raise plasma HDL-C had shown that beneficial effects of HDL-C are likely not related simply to its abundance. Atherothrombosis Intervention in Metabolic Syndrome with Low HDL-C/High Triglyceride and Impact on Global Health Outcomes (AIM-HIGH) was recently discontinued [41NIH pulls plug on AIM-HIGH trial with niacin MAY 27, 2011 | Lisa Nainggolan, Available at: http: //www.theheart.org/article/1231453.do ]. The trial showed that adding extended-release niacin to statin therapy in people with established vascular disease and despite increasing plasma HDL-C it did not reduce the risk of cardiovascular events. These findings are preliminary and require full evaluation to look at specific reasons for the failure. Moreover, a meta-analysis by Briel et al., showed no association between changes in levels of HDL-C and reducing the risk of coronary heart disease events, coronary heart disease deaths or total deaths [42Briel M, Ferreira-Gonzalez I, You JJ, et al. Association between change in high density lipoprotein cholesterol and cardiovascular disease morbidity and mortality: systematic review and meta-regression analysis BMJ 2009; 338: b92.]. There is evidence that HDL-C functional assays, like cholesterol efflux study, paraoxonase 1 (PON1) activity, antioxidant and anti-inflammatory properties are better predictor of cardiac events than plasma HDL-C [43Fazio S, Linton MF. High-density lipoprotein therapeutics and cardiovascular prevention J Clin Lipidol 2010; 4: 411-9.]. Studies had revealed that these HDL-C properties are impaired in patients with CHD compared with control healthy individuals [44Besler C, Heinrich K, Rohrer L, et al. Mechanisms underlying adverse effects of HDL on eNOS-activating path-ways in patients with coronary artery disease J Clin Invest 2011; 121: 2693-708.]. Landmesser, and his research team recently showed that HDL-C of patients with either ACS or stable CAD compared to HDL-C from healthy individuals fail to stimulate endothelial nitric oxide (eNOS) activating pathways and nitric oxide (NO) production. As a result, the endothelial anti-inflammatory and endothelial repair effects of HDL are impaired [43Fazio S, Linton MF. High-density lipoprotein therapeutics and cardiovascular prevention J Clin Lipidol 2010; 4: 411-9.]. This study demonstrated a high prevalence of low HDL-C levels in ACS patients in the Middle East and that this abnormality was more common in females than in males. BMI and diabetes were independent predictors for low HDL-C. Low HDL-C was associated with in-hospital mortality and cardiogenic shock in men but not in women. Although guidelines for LDL-C management in ACS are well established, treatment recommendations concerning HDL-C levels are not as rigorous or aggressive. Failure to recognize the prognostic value of low HDL-C in ACS may predispose these patients to higher risk of recurrent events and worse outcomes. Gulf RACE is a Gulf Heart Association project supported by Sanofi-Aventis – Gulf and Qatar Telecommunications Company, Doha, Qatar. The sponsors had no involvement in the study conception or design; data collection, analysis, or interpretation of data; writing, review, or approval of the manuscript; or the decision to submit the manuscript for publication. We thank the patients, physicians, nurses, and support staff who participated in the Gulf RACE. We also declare that no other assistance in the preparation of this article was provided. Sacks FM. Expert Group on HDL cholesterol. The role of high-density lipoprotein (HDL) cholesterol in the prevention and treatment of coronary heart disease: expert group recommendations Am J Cardiol 2002; 15: 139-43. Ballantyne CM, Herd JA, Ferlic LL, et al. Influence of low HDL on progression of coronary artery disease and response to fluvastatin therapy Circulation 1999; 99: 736-43. Rubins HB, Robins SJ, Collins D, et al. Gemfibrozil for the secondary prevention of coronary heart disease in men with low levels of high density lipoprotein cholesterol N Engl J Med 1999; 341: 410-8. Baigent C, Keech A, Kearney PM, et al. Efficacy and safety of cholesterol lowering treatment: prospective meta-analysis of data from 90,056 participants in 14 randomised trials of statins Lancet 2005; 366: 1267-78. Chapman MJ, Assmann G, Fruchart JC, et al. European Consensus Panel on HDL-C. Raising high-density lipoprotein cholesterol with reduction of cardiovascular risk: the role of nicotinic acida position paper developed by the European Consensus Panel on HDL-C Curr Med Res Opin 2004; 20: 1253-68. Hausenloy DJ, Yellon DM. Targeting residual cardiovascular risk: raising high-density lipoprotein cholesterol levels Heart 2008; 94: 706-14. Third Report of the National Cholesterol Education Program (NCEP). Expert panel on detection, evaluation and treatment of high blood cholesterol in adults (adult treatment panel III), Final report Circulation 2002; 106: 3143-421. Al-Zakwani I, Sulaiman K, Al-Rasadi K. Prevalence of low high-density lipoprotein cholesterol (HDL-C) as a marker of residual cardiovascular risk among acute coronary syndrome patients from Oman Curr Med Res Opin 2011; 27: 879-5. Grundy SM, Cleeman JI, Daniels SR, et al. American Heart Association; National Heart, Lung, and Blood Institute. Diagnosis and management of the metabolic syndrome: an American Heart Association/National Heart, Lung, and Blood Institute Scientific Statement Circulation 2005; 112: 2735-52. Alberti KG, Eckel RH, Scott M, et al. Harmonizing the Metabolic Syndrome A Joint Interim Statement of the International Diabetes Federation Task Force on Epidemiology and Prevention; National Heart, Lung, and Blood Institute; American Heart Association; World Heart Federation; International Atherosclerosis Society; and International Association for the Study of Obesity Circulation 2009; 120: 1640-5. Mabry RM, Reeves MM, Eakin EG, et al. Gender differences in the prevalence of the metabolic syndrome in Gulf Cooperation Council Countries: systematic review Diabet Med 2010; 27: 593-7. Hadi HAR, Zubaid M, Al Mahmeed W. The prevalence and outcome of excess body weight among middle eastern patients presenting with acute coronary syndrome Angiology 2010; 61: 456-64. Malik S, Wong ND, Franklin SS, et al. Impact of the metabolic syndrome on mortality from coronary heart disease, cardiovascular disease, and all causes in United States adults Circulation 2004; 110: 1245-50. Lakka HM, Laaksonen DE, Lakka TA, et al. The metabolic syndrome and total and cardiovascular mortality in middle-aged men JAMA 2002; 288: 2709-16. Davidson MH. Reducing residual risk for patients on statin therapy: the potential role of combination therapy Am J Cardiol 2005; 96: 3K-13K. Shepherd J, Barter P, Carmena R, et al. for the Treating to New Targets Investigators: Effect of lowering LDL cholesterol substantially below currently recommended levels in patients with coronary heart disease and diabetes: the Treating to New Targets (TNT) study Diabetes Care 2006; 29: 1220-6. Kato M, Dote K, Naganuma T. clinical predictors of culprit plaque rupture assessed on intravascular ultrasound in acute coronary syndrome Circ J 2010; 74: 1936-42. Van Gaal LF, Wauters MA, De Leeuw IH. The beneficial effects of modest weight loss on cardiovascular risk factors Int J Obes Relat Metab Disord 1997; 21: S5-9. Barter P, Gotto AM, LaRosa JC, et al. Treating to New Targets Investigators. HDL cholesterol, very low levels of LDL cholesterol and cardiovascular events N Engl J Med 2007; 357: 1301-0.
 deGoma EM, Leeper NJ, Heidenreich PA. Clinical significance of high-density lipoprotein cholesterol in patients with low-density lipoprotein cholesterol J Am Coll Cardiol 2008; 51: 49-55. Jafri H, Alsheikh-Ali AA, Karas RH. Meta-analysis: statin therapy does not alter the association between low levels of high-density lipoprotein cholesterol and increased cardiovascular risk Ann Intern Med 2010; 153: 800-. Sachdeva A, Cannon CP, Deedwania PC, et al. 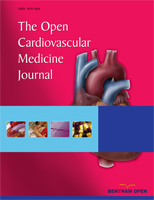 Lipid levels in patients hospitalized with coronary artery disease: an analysis of 136,905 hospitalizations in Get with the Guidelines Am Heart J 2009; 157: 111-7. Roe MT, Ou FS, Alexander KP, et al. Patterns and prognostic implications of low high-density lipoprotein levels in patients with non-ST-segment elevation acute coronary syndromes Eur Heart J 2008; 29: 2480-8. Wolfram M, Brewer HB, Roswitha ZX, et al. Impact of low high-density lipoproteins on in hospital events and one-year clinical outcomes in patients with non- ST-elevation myocardial infarction acute coronary syndrome treated with drug-eluting stent implantation Am J Cardiol 2006; 98: 711-. Pint´o X, Mill´an J, Mu˜noz A, et al. A very high prevalence of low HDL cholesterol in spanish patients with acute coronary syndromes Clin Cardiol 2010; 33: 418-23. Arai H, Hiro T, Kimura T, et al. More intensive lipid lowering is associated with regression of coronary atheros-clerosis in diabetic patients with acute coronary syndrome J Atheroscler Thromb 2010; 17: 1096-7. Correia LC, Rocha MS, Esteves JP. HDL-cholesterol level provides additional prognosis in acute coronary syndromes Int J Cardiol 2009; 136: 307-14. Olsson AG, Schwarts GG, Szarek M, et al. High-density lipoprotein, but not low-density lipoprotein cholesterol levels influence short-term prognosis after acute coronary syndrome: results from the MIRACL trial Eur Heart J 2005; 26: 890-6. Zeller M, Steg PG, Ravisy J, et al. for the Observatoire des Infarctus de CtedOr Survey Working Group: Prevalence and impact of metabolic syndrome on hospital outcomes in acute myocardial infarction Arch Intern Med 2005; 165: 1192-8. El-Menyar A, Zubaid M, Rashed W, et al. Comparison of men and women with acute coronary syndrome in six middle eastern countries Am J Cardiol 2009; 104: 1018-22. Cannon CP, Braunwald E, McCabe CH, et al. Intensive vs. moderate lipid lowering with statins after acute coronary syndromes N Engl J Med 2004; 350: 1495-504.
 de Lemos JA, Blazing MA, Wiviott SD, et al. Early intensive versus a delayed conservative simvastatin strategy in patients with acute coronary syndromes: phase Z of the A to Z trial JAMA 2004; 292: 1307-6. SoRelle R. ATP III calls for more intensive low-density lipoprotein lowering in target groups Circulation 2002; 106: e9068. Nissen SE, Tsunoda T, Tuzcu EM, et al. Effect of recombinant apoA-I Milano on coronary atherosclerosis in patients with acute coronary syndromes. A randomized controlled trial JAMA 2003; 290: 2292-300. Brown BG, Zhao X-Q, Chait A, et al. Simvastatin and niacin, anti-oxidant vitamins, or the combination for the prevention of coronary disease N Engl J Med 2001; 345: 1583-92. Taylor AJ, Villines TC, Stanek EJ. Extended-release niacin or ezetimibe and carotid intimamedia thickness N Engl J Med 2009; 361: 2113-2. Genest J, McPherson R, Frohlich J, et al. Canadian Cardiovascular Society/Canadian guidelines for the diagnosis and treatment of dyslipidemia and prevention of cardiovascular disease in the adult - 2009 Can J Cardiol 2009; 25: 567-79. Briel M, Ferreira-Gonzalez I, You JJ, et al. Association between change in high density lipoprotein cholesterol and cardiovascular disease morbidity and mortality: systematic review and meta-regression analysis BMJ 2009; 338: b92. Fazio S, Linton MF. High-density lipoprotein therapeutics and cardiovascular prevention J Clin Lipidol 2010; 4: 411-9. Besler C, Heinrich K, Rohrer L, et al. Mechanisms underlying adverse effects of HDL on eNOS-activating path-ways in patients with coronary artery disease J Clin Invest 2011; 121: 2693-708. Pfohl M, Schreiber I, Liebich HM, et al. Upregulation of cholesterol synthesis after acute myocardial infarction is cholesterol a positive acute phase reactant? Atherosclerosis 1999; 142: 389-93. Pitt B, Loscalzo J, Ycas J, Raichlen JS. Lipid levels after acute coronary syndromes J Am Coll Cardiol 2008; 51: 1440-5.